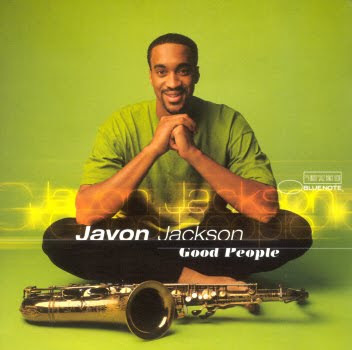 I've always had a certain dislike to Javon Jackson, for reasons irrelevant and completely irrational . Today, by chance, I decided reescuchar any of his albums I have at home gathering dust for years between titles busiest. Well, it turns out that this Good People is a remarkable album, with several things of interest. For starters, Craig Street is production. Furthermore, the rhythm is Billy Drummond, Peter Washington and Cyro Baptista . And to complete the list, John Medeski on Hammond and Fareed Haque and Vernon Reid on guitar alternating . Tela. With these musicians is hard not to do something meaningful, and takes advantage Jackson. He in particular has good moments and some more blah but thanks an interesting repertoire and different combinations of musicians in each other's themes, the album is very enjoyable. will have to continue rediscovering Jackson. Note: clicking on the cover of the album you can listen to Spotify (by country of residence). Particularly recommend the title track to the album, "Good People".